Actor Richard Griffiths, Uncle Vernon In 'Harry Potter' Movies, Dies : The Two-Way Best known as Harry Potter's cruel Muggle uncle, Griffiths also was an accomplished stage actor. Actor Daniel Radcliffe, who played Harry, says Griffiths' "encouragement, tutelage and humor" made him a joy to work with. 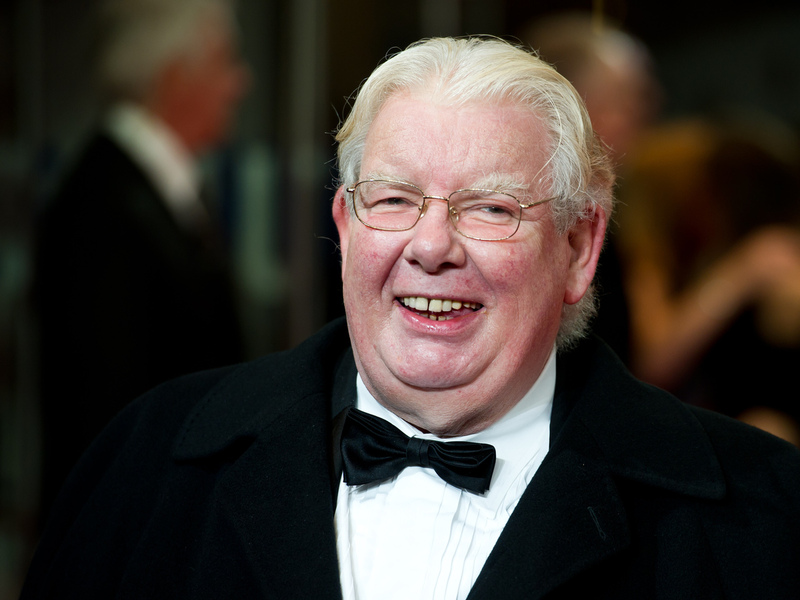 Actor Richard Griffiths in 2011. Richard Griffiths, who millions of Harry Potter movie fans loved and likely despised as the cruel Uncle Vernon Dursley, has died. "Daniel Radcliffe, who played Harry Potter alongside him, led tributes to the actor whose 'encouragement, tutelage and humor' made work 'a joy.' Radcliffe, who also performed with Griffiths in the stage play Equus, said: 'Richard was by my side during two of the most important moments of my career. In August 2000, before official production had even begun on Potter, we filmed a shot outside the Dursleys', which was my first ever shot as Harry. I was nervous and he made me feel at ease. 'Seven years later, we embarked on Equus together. It was my first time doing a play but, terrified as I was, his encouragement, tutelage and humor made it a joy.' "
Griffiths won multiple awards for his New York and London stage performances in The History Boys. He played the teacher, Hector. He was also well known to those who love the 1987 movie Withnail & I for his role as Uncle Monty. -- "Considered by producers for the role of "The Doctor" in Doctor Who ... had the series' original run continued past 1989." -- Not shy about telling audience members to get out if their cellphones rang. In July 2005, "he ordered a man out of the National Theatre, London, when his mobile phone went off for the sixth time during a performance of Alan Bennett's The History Boys. The actor stopped in the middle of his lines, fixed the offender with an icy stare and said: 'I am asking you to stand up, leave this auditorium and never, ever come back.' Other members of the audience applauded as the man left the theatre."